Where are Iowa and U.S. land values headed? Chad Hart, ISU Extension Grain Marketing Economist, provides a summary of the latest USDA reports. The Acreage and Grain Stocks reports were released June 30th. And for the most part, the numbers were within the range of expectations. The corn numbers ran a bit higher than the trade expectations, but the soybean numbers were a bit below. For corn, national acreage was estimated at 90.9 million acres. That is roughly 900,000 acres more than farmers indicated in March. Producers in Iowa, Nebraska, Kansas, North Dakota, Michigan, and Colorado increased corn plantings, raising corn acreage by at least 100,000 acres in each state when compared to the March projections. Meanwhile, producers in Illinois, Indiana, and South Dakota reduced corn area by at least 100,000 acres in each state. For soybeans, national acreage was estimated at 89.5 million acres, just 31,000 acres more than the March intentions. While farmers in Illinois, North Dakota, and Missouri increased soybean plantings significantly when compared to intentions, farmers in Iowa, Indiana, Kansas, and Louisiana offset those gains. Overall, the trade expected more soybeans and less corn. And the bigger surprise is likely the smaller soybean acreage number. National stocks for both crops were up 11 percent compared to last year, but that was to be expected given the record production for both crops last fall. The key feature in the stocks report to me was the disappearance rates For corn, quarterly disappearance was up 9 percent, while for soybeans it was up 18 percent. So crop usage remains robust and has continued to chew through the large supplies. Combined, these reports provided a little positive news for the crop markets. 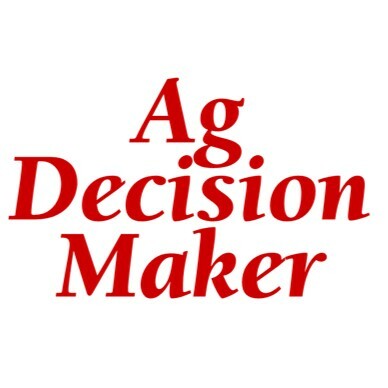 Share Feedback on Ag Decision Maker -We appreciate a few minutes of your time to complete a short survey here. Why have farm family living expenses been identified as a problem? Will Consumers Find Vertically Farmed Produce “Out of Reach”?